First Presbyterian Church is a congregation of believers in the Lord Jesus Christ that is affiliated with the Presbyterian Church in Amercia. As a church, we are committed to the principles of Reformed Theology as expressed in the Westminster Confession and Shorter and Larger Catechisms. 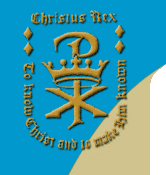 Click here to see a brief history of the PCA. The mission of First Presbyterian Church is to glorify God and expand his kingdom locally and worldwide by being a grace oriented reformed body that believes the word of God is inerrant and all sufficient for every area of life and holds fast to the Westminster Confession of Faith. Therefore, our vision is to teach the gospel of Christ so people may be transformed spiritually and extend the lordship of Christ to every facet of culture around us. This includes giving glory to God for his works of creation and judgment as a result of man's fall into sin; the hope of the gospel; the sanctity of human life; the sanctity of marriage; and through the development of a Biblical world and life view. Worship: The elements of song, prayer, the confession of our faith, the reading of the Scriptures and giving to the Lord are blended together into a time of worship of the Triune God who alone is worthy of our praise. These all serve as a preparation for the reverent hearing of the Word preached. The emphasis in preaching is placed upon verse-by-verse exposition of Scripture, through which God's people are equipped for the work of ministry. Fellowship: It is our desire to build a community of believers that reflects the unity and love that characterizes the body of Christ. So we create opportunities for fellowship through such activities as Men of the Covenant, Women In the Church, and youth activities. The second Sunday of each month we enjoy a fellowship meal together after the morning worship service. Discipleship: Numerous opportunities throughout the week are provided for digging deeper into God's word and growing in faith. Times of Bible study and prayer are available at the church on Sunday and Wednesday evenings. In each of these, as well as during our Sunday School time on Sunday morning, God's people are taught to live godly lives and to use their spiritual gifts for God's glory in His church. Outreach: We reach the local community with the gospel through personal relationships and mercy ministries through various agencies. We support local ministries like the Crisis Pregnancy Center and other benevolence outreaches. We also support a number of home and foreign missionaries. If you would like to know how you can be sure you have eternal life, we would love to be of help to you. Please prayerfully VIEW THIS LINK and contact us. We follow the Biblical model of having two offices in the church, elders and deacons. Elders serve as shepherds for the congregation and provide spiritual oversight. There are two types of elders, ruling elders, and teaching elders (the pastor). The office of deacon is one primarily of service and mercy, so the work of ministry may flourish. Ruling elders and deacons lead ministry teams and members of the congregation are encouraged to serve on one or more teams based on their spiritual gifts. We have a total of 9 teams : Worship, Education, Outreach, Missions, Fellowship, Discipleship, Service, Administration, and Shepherding. Greg King was called to the ministry after over twenty years as a marketing manager in the chemical industry. He was called in 2006 to be the pastor of First Presbyterian Church in Summerville. Educated at Carson Newman College (BS in 1974) and Virginia Tech (MS in 1976), Greg also earned a Master of Divinity degree (2006) from Reformed Theological Seminary in Charlotte, NC. In addition, his training for the ministry has included serving as a deacon and ruling elder at PCA churches in Philadelphia, PA and Johnson City, TN. Have questions or comments? Call (706) 857-4338 or E-mail info@firstprespca.org for answers to your questions and to send comments.